The IVenture Card is the best way to see all the essential attractions! Easy, flexible, economical: all Barcelona in the palm of your hand. You can choose between 3 or 5 activities from a list of 33. The Unlimited Pass let the opportunity to enter to all. All of the packages includes 3 free attractions: a single beer drink at Moritz Brewery, a single cava drink at La Rambla View Point and free entrance & welcome drink at Casino Barcelona. Barcelona City Tour one day ticket. Barcelona Bus Turístic one day ticket. Poble Espanyol. Skip the line entry. Colom View Point. Enter and wine drink. MACBA Museum. Skip the line entry. MNAC Museum. Skip the line entry. 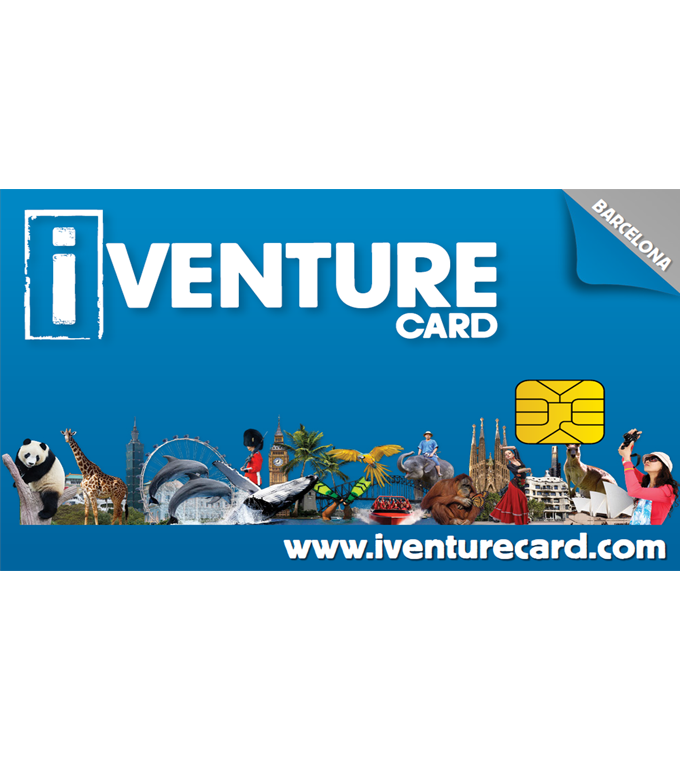 To collect the iVenture Card activation code is required, get it at http://redeem.iventurecard.com. The activation code will be available 48h after the card purchase. All the supplements will be paid at the moment of the booking at the Tours&Tickets stores. Once you activate the card, you have 7 consecutive days to take advantage of it. Barcelona Flexi Pass 3: To choose from 3 activities from a list of 33 + 3 free attractions. Barcelona Flexi Pass 5: To choose from 5 activities from a list of 33 + 3 free attractions. Barcelona Flexi Pass Unlimited: All 36 activities.